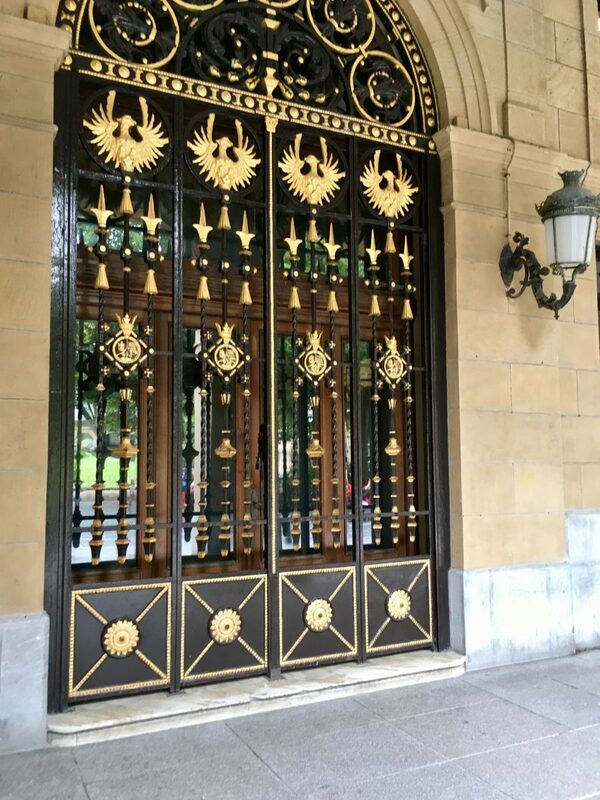 These magnificent wrought iron doors (just one of a series of matching doors) belong to San Sebastian’s Kutxabank, which is a savings bank mainly operating within the Gipuzkoa region of the Basque country. It’s one of the bank’s many branches but easily the most imposing and it backs onto my favourite square in San Sebastian, the Plaza de Gipuzkoa. 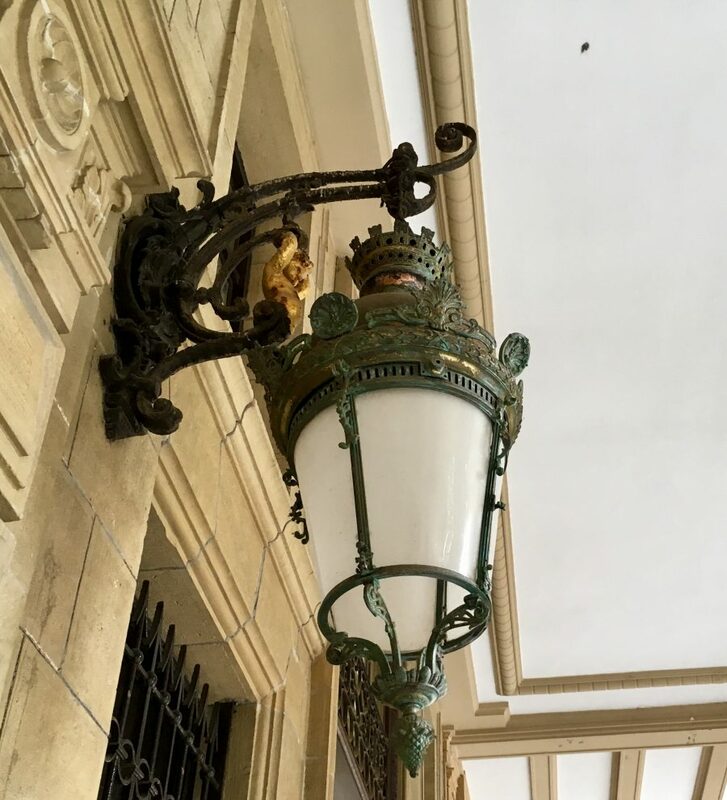 Of course, I just love all that gold-embellished wrought iron and the lamps (another of my obsessions) are pretty special too. Thursday Doors is a weekly feature allowing door lovers to come together to admire and share their favorite door photos from around the world. Feel free to join in the fun by creating your own Thursday Doors post each week and then sharing your link in the comments’ on Norm’s site, anytime between Thursday morning and Saturday noon (North American Eastern Time). Really beautiful doors! very regal! I can see why you like those doors. Quite elegant. They’re so solid, just what you’d expect in a bank HQ plus I adore decorative wrought iron.